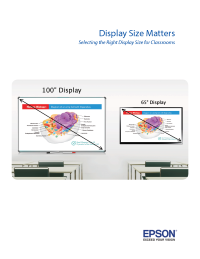 Click here to download the white paper that shows you how to select the right screen for your education customers. Technology is changing how young leaders of tomorrow are learning, especially within the classroom. The right visual environment can influence student visibility and legibility and selecting the best quality screen to support that environment is key.